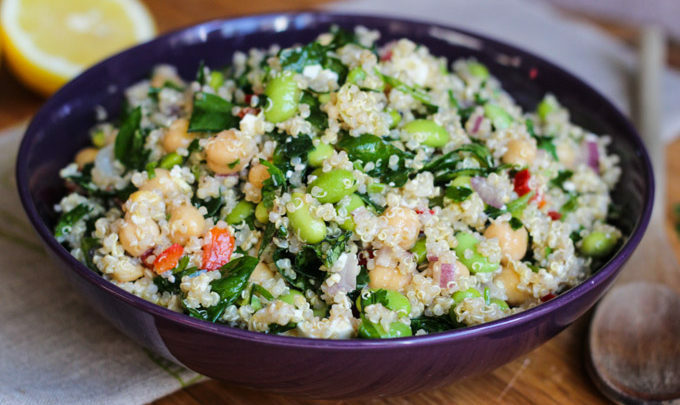 Here’s a 5 minute recipe to eat clean, go green, and amp up your protein & fiber intake! 1. In a bowl, whisk together the lemon juice, mayonnaise, oil, and mustard. 2. Toss the spinach with the dressing. Makes 2 servings. Per 1.5 cup serving: 285 calories, 14 g protein, 8 g fiber!